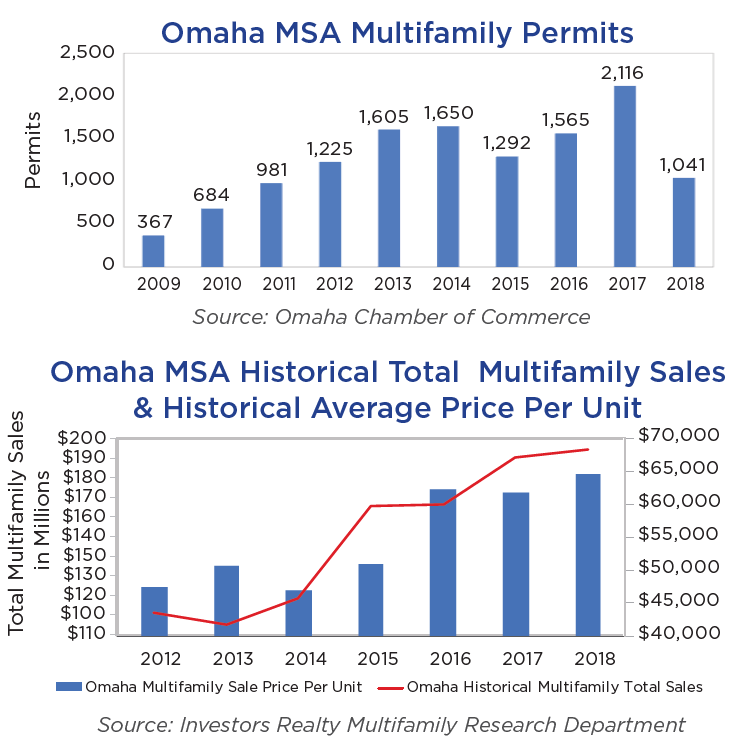 Apartment values continue to increase in the Omaha MSA. 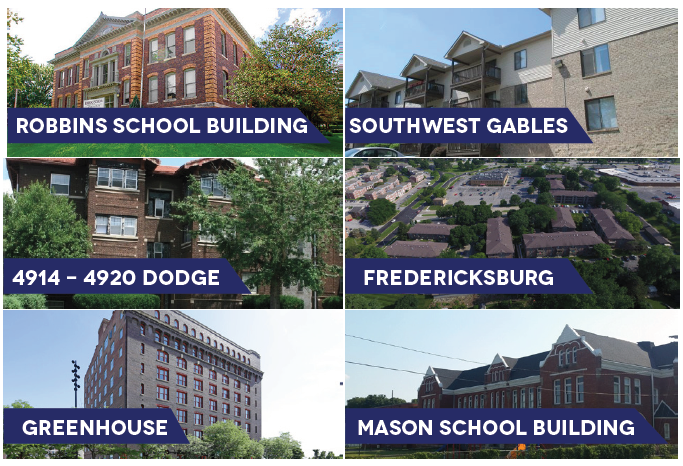 Recently, the Greenhouse Apartments (sale price of $136,434 per unit) and Southwest Gables (sale price of $111,667 per unit) pushed up the average price in the second half of 2018 to over $80,000 per unit. On an annual basis, the average per unit sale price increased over 2017 with $64,541 in 2018 per unit compared to $61,819 per unit in 2017. Despite the increased prices, we continue to see the pool of potential buyers for apartment properties to be large. Many buyers are from larger markets looking to secondary and tertiary markets, like Omaha, in hopes of ﬁnding higher capitalization rates and more stability. The slight uptick in interest rates has little or no impact on capitalization rates. Most deals seem to be won by a unique buyer that may have a reason to pay a premium, whether a 1031 exchange, operating eﬃciencies from owning a neighboring property, or an acquisition department that needs to accomplish a win. Several sales have been of mismanaged property where a buyer believes they will be able to manage up a 4% capitalization rate into a 7% or 8% capitalization rate deal. Sophisticated management teams are ﬁnding additional revenue streams while being vigilant with their costs. Unfortunately, with higher sales, the local county assessors are catching wind and are adjusting their annual tax valuation upward, which will have a negative impact on a property’s market value.